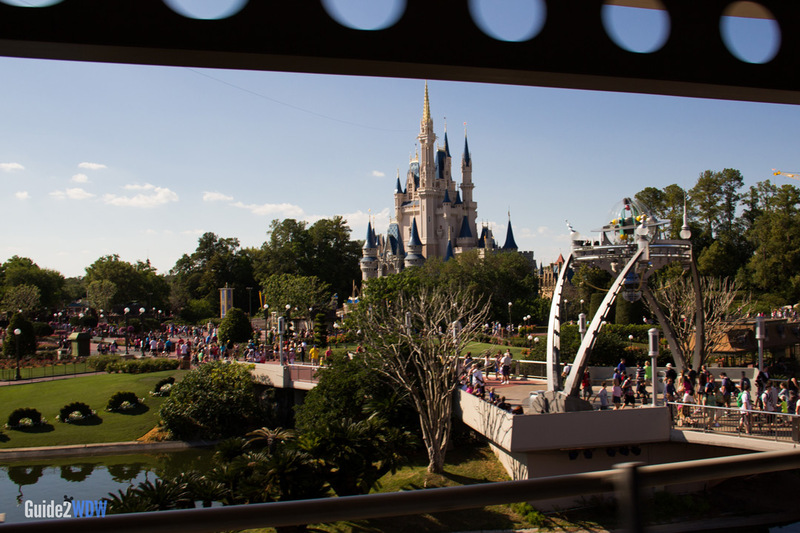 Take a ride above Tomorrowland on the PeopleMover. 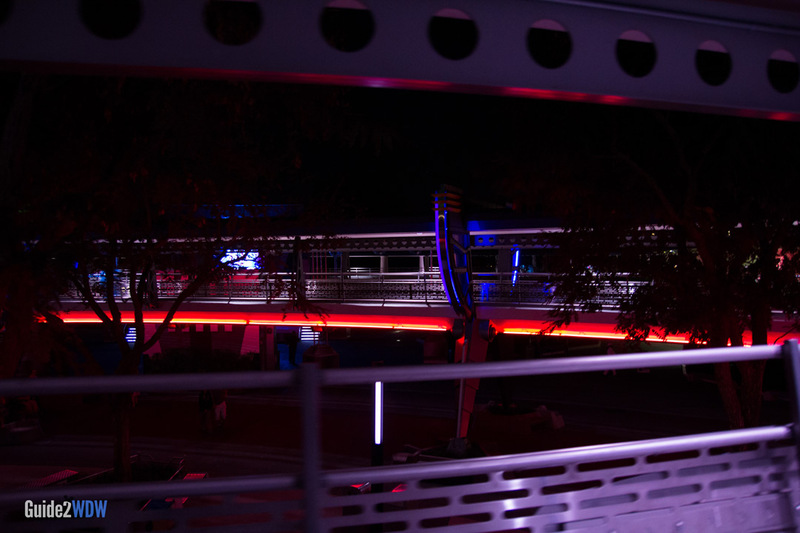 The Tomorrowland Transit Authority PeopleMover takes passengers on a tour above Tomorrowland. Notable sights include inside of Space Mountain and Buzz Lightyear’s Space Ranger Spin. 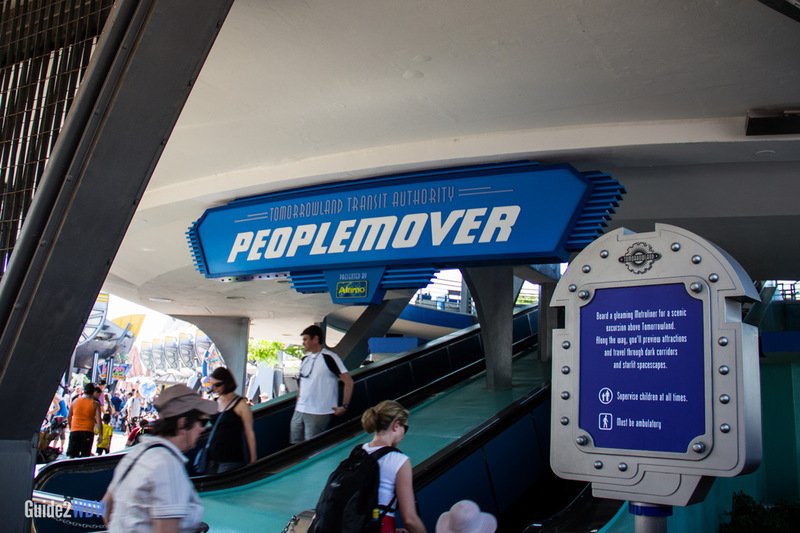 Guests can board the PeopleMover at the single station at Rocket Tower Plaza. 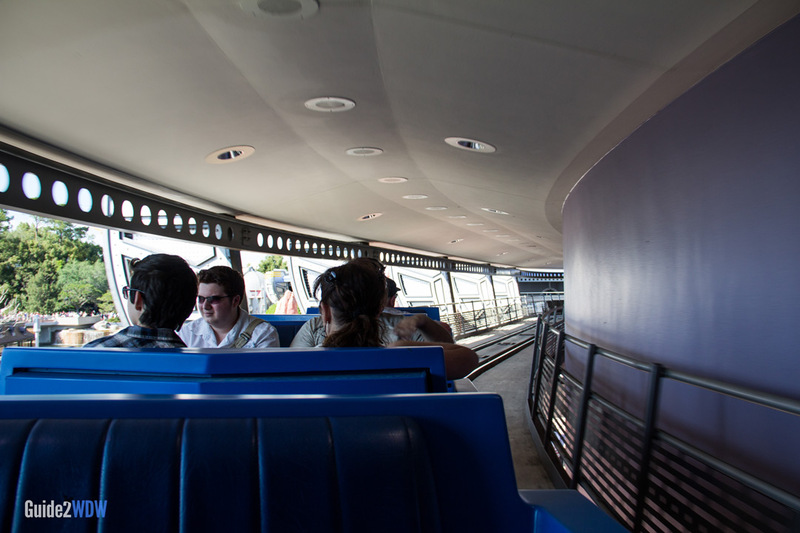 While the PeopleMover was originally foreseen as a mode of transportation, this ride only goes on a single-stop grand-circle tour. This is the definition of a relaxing ride. If you want a bit of a break from the heat and running around, the PeopleMover is the ride for you! 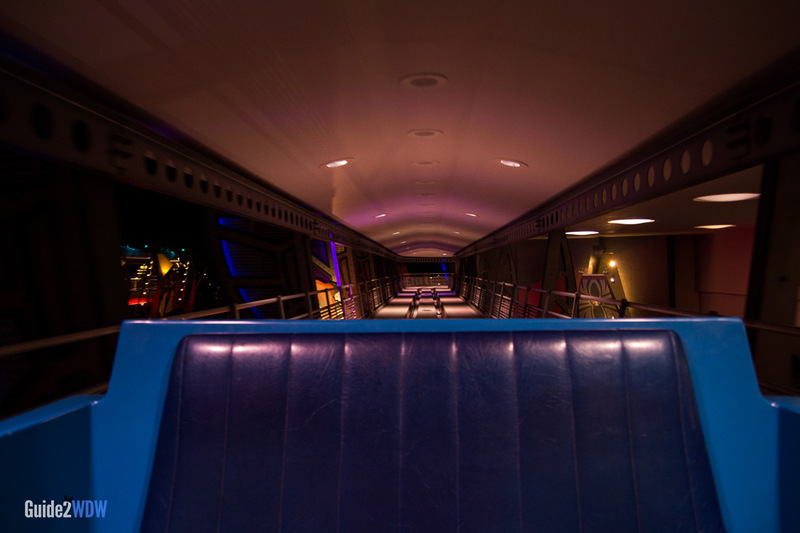 There’s nothing terribly thrilling about the PeopleMover, but that’s not the point. The point is to relax and enjoy the sights and sounds. Sometimes that’s more than enough. 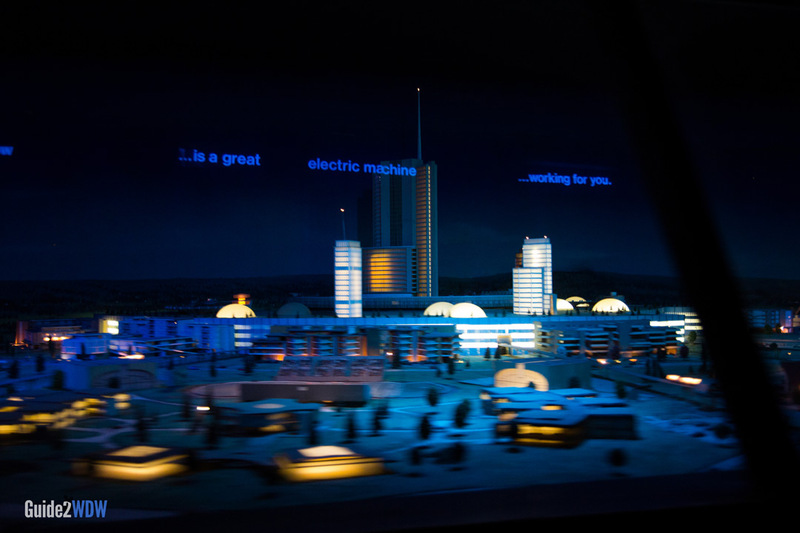 This ride features a portion of the model for the original plan for the Experimental Prototype Community Of Tomorrow (aka EPCOT), which Walt Disney intended to be a city, not a theme park. This ride was originally called the WEDway PeopleMover. W.E.D. are the initials of Walter Elias Disney. Lines are almost always short for this ride. If you go on the PeopleMover while Space Mountain is closed, there’s a chance you’ll be able to see the iconic roller coaster with the lights on. When I was able to see Space Mountain with the lights on, it was a fascinating view, but I’ve heard from others that it “ruins” their perception of Space Mountain. Proceed at your own caution! The entrance to the PeopleMover is at the bottom of Rocket Tower Plaza, in the heart of Tomorrowland. Take a leisurely tour above Tomorrowland. You can get some great views of the park during the day. Nighttime also provides some great sights. If you go on close to park closing, you might have an entire vehicle to yourself. Look out for the original model of EPCOT, the city not the theme park!